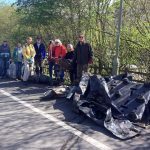 WWV has around 35 members – we offer two hours on Monday mornings cutting back overgrowth and regular weeding of paths around the town to make Witney a more pleasant place to live. The Windrush River passes through the town, bordered by water meadows and small areas of woodland which have remained largely unchanged for many years. These areas need constant management. In recent years, new footpaths and cycle tracks have been developed along the river, together with a new Country Park and the Witney Lakes Park. In addition to these riverside areas, we help to maintain 15 of the foot/cycle paths across the town. 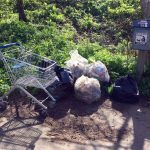 The group was set up in June 2006: we were encouraged by West Oxfordshire District Council (WODC) to help with maintenance tasks. 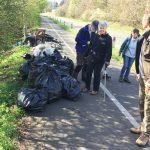 Witney Town Council and Oxfordshire County Council, which also care for some public paths in Witney, have also given the volunteers their support. 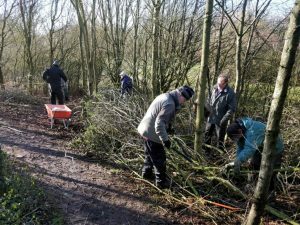 The Group is independently constituted (a copy of the Constitution is available here) but has its roots in a wider volunteer group, the Wychwood Project, which undertakes conservation activities in the ancient Wychwood Forest area. You can view a flyer about us and our work here.